I made a pot of my basic chili a few weeks ago, which uses my homemade chili seasoning, so I wanted to post the homemade chili seasoning blend by itself to highlight the fact that it can be used for so much more than just chili. In addition to making a big pot of warm and comforting homemade chili, you can add this chili seasoning to vegetables, meat, or fish before roasting or grilling (check out my Chili Roasted Potatoes), or even sprinkle a little into your mac and cheese. I mean, what can’t you do with chili seasoning?! Originally posted 1-17-14, updated 8-14-18. 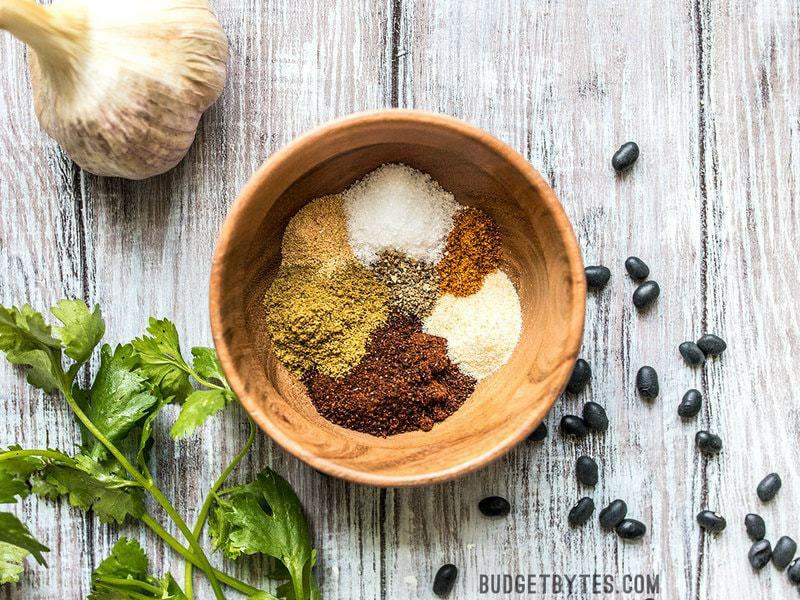 This simple homemade chili seasoning is made with a few basic pantry staple spices and can be used for so much more than a pot of traditional chili! Add all of the ingredients to a bowl and stir to combine. Store in an air-tight container, away from heat and moisture for up to six months. Makes enough for one pot of chili (about 6 servings). If the chili powder you are using is spicy, you can reduce or eliminate the cayenne pepper from this recipe. Chili powder is a blend of spices used to season chili, which is commonly sold pre-mixed in the United States. So, in effect, you could use just that alone to season your pot of chili, but my homemade chili seasoning takes it up a few notches. Chili powder can vary in heat from brand to brand, so make sure to give yours a taste before making your chili. If the chili powder you are using is spicy, you can reduce or eliminate the cayenne pepper from this recipe. 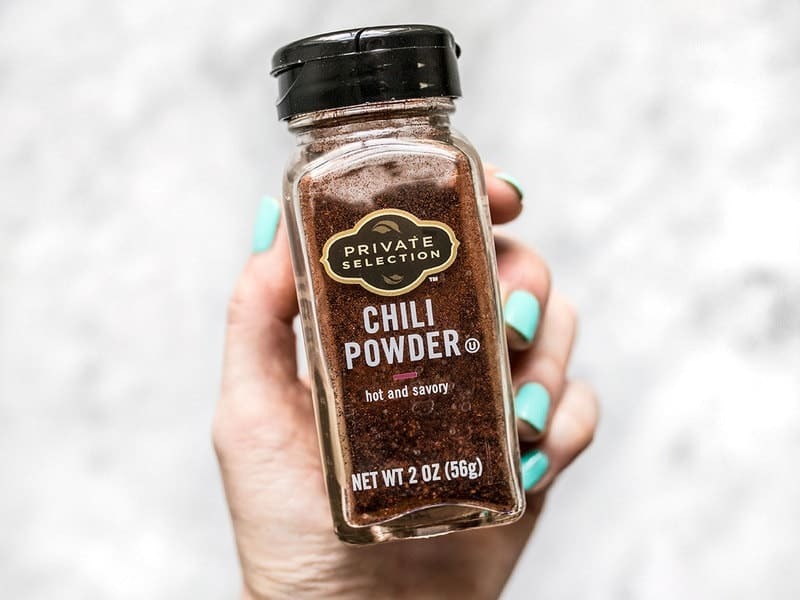 The chili powder pictured above (Kroger brand) is spicy, as the label indicates, but not every brand is nice enough to let you know ahead of time if their blend is spicy. If you’re looking for a mild, not-spicy blend, check out McCormick’s chili powder. They also make a “hot Mexican” chili powder, which is quite spicy. Is Chili Seasoning the Same as Taco Seasoning? They’re quite similar, but not exactly the same. For my Homemade Taco Seasoning, I use a slightly smokier blend of spices and add a little oregano. I do think you could use them interchangeably in a pinch, if needed, but prefer this slightly more simple blend for chili. I can’t comment directly to the chili seasoning bc I tried an entirely new recipe tonight but what I ended up with was AMAZING! I had some chicken breasts in the oven, all excited about having some chicken chili, when I realized I was out of seasoning! I found this recipe and I’m so glad I did! I sautéed two small yellow onions (choppily diced for texture) with a clove of garlic (finely diced) and dumped in two cans of “chili ready tomatoes” from Walmart, a can of chili beans, and this recipe of spices. When the chicken was done baking I cut up a couple chicken breasts and stirred those in. I can’t even believe how good it was! I did make one small change- I don’t like anything too salty so I only used about 3/4 t salt and it was perfect, I may use even less with beef bc skinless baked chicken breasts are pretty bland. 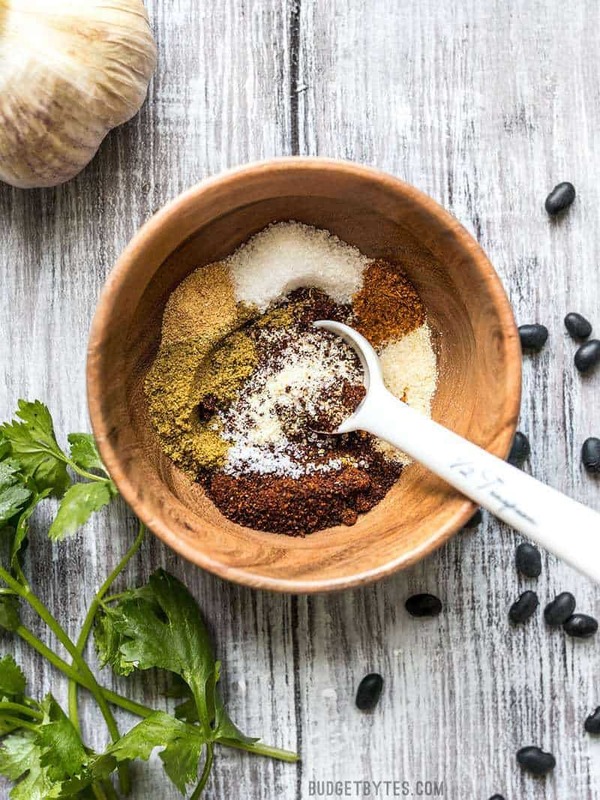 I will DEFINITELY be making a big batch of this spice mix to keep on hand! So good! I gave this recipe a try last night and wanted to say THANK YOU for making me look so good. My husband and stepdaughter hold high chili standards and both went back for seconds. The mix of spices is perfect, with just enough heat. This will be our chili seasoning going forward. Thanks again! Wonderful!! Never buying store mix again! My family loved and said it was better than my other chili!! This homemade seasoning was better than the store bought packs of seasoning my family usually buys! Only change I’d make would be less salt, maybe 3/4 teaspoon instead of a full teaspoon. My vegetarian chili turned out great and was super flavorful! I will never use the package chili seasoning again! This is excellent chili seasoning! I accidentally used the wrong measuring spoons for the cayenne so it’s a bit spicier than I wanted but the flavor is the bomb!!! I did add about 1/4 tsp smked paprika for a little smoky flavor. LOVE!!! So I’m missing the ingredients. I can deduce, but don’t have the quantity. It says ingredients (then blank), then next are the instructions. I thought for sure everyone else was going to complain. Hmm, I’m able to see the ingredient quantities. What are you trying to view the recipe with? Desktop or mobile? Mac or Windows/Android? What browser? How’s about different levels of chili powders: Anaheim Chili Powder- mild and very tasty, Chipotle powder for a med heat and smoky level, and Jalapeño or Serrano Chili Powder. Mixing powders brings many more levels of taste and spicyness. I wish I would have caught the note about the cayenne pepper. It was much to spicy for my kids! Next time I’ll leave it out. Otherwise was great! Homemade chili seasoning and you add store bought chili powder? you are on Budget Bytes and acting like yer gordon ramsey bro. I don’t get why people nitpick on something so dumb. 3. Maybe this guy has great quality spices and wants to control his own salts and heat. Good Lord. I will pray for those who think their ways are better than others. Thanks for sharing Scott. I have walked away learning a lesson. This saved the day at our house warming party when I realized I was out of cumin and didn’t have any premade chili seasoning! I substituted the cumin for more chili powder and paprika, but left the rest the same. Our chili was a hit! Excellent recipe. We use it EVERY time we make chili!